If you are looking for party ideas on lobster appetizers recipe, then your search ends here. 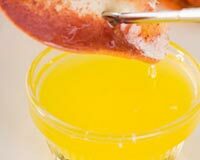 Check out our section on lobster appetizers recipe and learn how to make/prepare lobster appetizers. 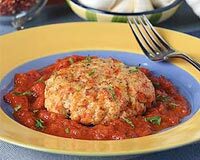 Lobster Cake is a piquant appetizer recipe. Learn how to make/prepare Lobster cake by following this easy recipe. Lobster Pate is a tasty appetizer recipe. Learn how to make/prepare Lobster Pate by following this easy recipe. Lobster Dip is a delicious appetizer for any occasion. Learn how to make/prepare Lobster Dip by following this easy recipe. 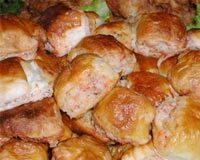 Lobster Puff is an appetizer recipe rich in protein. Learn how to make/prepare Lobster Puff by following this easy recipe.